Some 43% of beverage cartons were recycled in European paper mills in 2014 with the UK showing a “substiantial advance”, according to figures released by an industry association. A survey by the Alliance for Beverage Cartons and the Environment (ACE) found 420,000 tonnes were recycled in 28 EU member states plus Norway and Switzerland. ACE said this shows a continuing upward trend over the last two decades. A “substantial advance” was shown in the UK while countries including Belgium, Germany, Luxembourg and Spain recycled over 70% of all cartons put on the market. The total recovery rate, including energy recovery, in 2014 reached 76%. ACE director general, Bertil Heerink said EU waste legislation needed to include extended producer responsibility schemes to improve collections and increase rates further. He said: “We are firmly committed to contribute to the objectives of the European Commission circular economy package. ”However, the legal proposals need to look ahead to 2030 and recognise the changing market demands and foster innovation in packaging solutions, materials and recycling techniques. ACE has also announced 98% of the wood fibres used to make its members’ cartons were now fully certified to demonstrating legality and traceability. In 2013 the figure stood at 93%. Heerink said: “On the whole we are very pleased with our progress towards meeting our 100% commitment. ACE members include beverage carton producers Tetra Pak, SIG Combibloc and Elopak. Plastics recycling association Recoup has become a joint owner of On-Pack Recycling Label (OPRL), as industry and retailers push for “consistent and clear messages” on recycling. 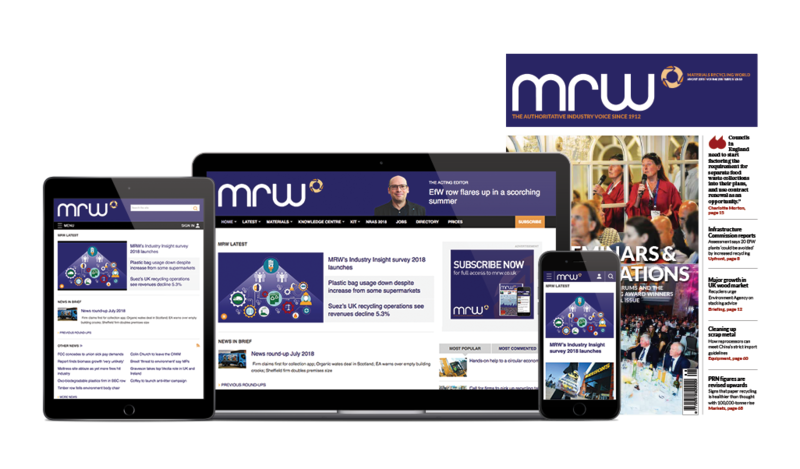 This year’s RWM exhibition ran a search for the industry’s rising stars, to recognise those who can inspire a new generation of resource managers and who have introduced trailblazing initiatives within the past five years. Three finalists were selected to present to a panel of judges at the show, with the winner receiving a CIWM training package and funding towards their initiative worth more than £2,000. As it moves into its second year, the Simply Cups paper recovery and recycling scheme has set its sights on ramping up the volume in the coming year. During the past few years, councils have been under heavy pressure to reduce their expenditure, and this will continue for the foreseeable future. The number of councils adding cartons as part of their kerbside services has dropped dramatically, according to the Alliance for Beverage Cartons and the Environment (ACE). Stone Computers, an IT equipment manufacturer and service provider, has implemented a range of initiatives to reduce waste produced in its business. Simply Cups, the only cup recovery and recycling scheme in the UK, has added five more waste materials to its service: beverage cartons, paper towels, food service PP/PS packaging, food service non-bottle PET and coffee grounds. Machinex Group will launch an optical sorting machine range, the Mach Hyspec, at Waste Expo, to be held in Las Vegas in June.